I cannot write a post about Lush without mentioning their amazing customer service. The customer service alone is enough for me to walk in and have a browse. As usual, as we entered the shop we were approached by a helpful member of the team who asked if we needed any assistance and we instantly told her we were all about the skincare. As much as I love a good bath bomb my skin had been crying out with a bit of loving so giving it what it needed was my number 1 priority. She gave us a full overview of all the products that were on offer then "Jumped into my skincare routine" as she put it. After asking me questions about the state of my current routine she advised me of what products I can add in and what I can replace! After about 20 mins of showing me loads of products she left it up to me to decide what I thought I needed. With a little help from my Lush Guru of a best friend here are some of the product I picked up that have now become some of the best Lush products I have ever tried! Okay the top reason I was sold this was how great it is at removing make up. I bet loads of my readers are like me and they HATE taking off their make up. Applying it? No problem. I could do that all day. But when it comes to taking it off I am not a fan. This gentle toner water combines Rose and Lavender to not only help get rid of all that gunk off your face at the end of the day but also helps keep your skin even. The lady recommended I put the bottle in the fridge for an even more enriched experience so I did. And that feeling when I spray this on to my face? Un-Be-Leave-Able. This is my Toppest pick from my top picks. Again I was a sucker thanks to the amazing ability for this to get rid of your make up but also how soft your skin is after you've used this! Let's be honest. I wear a lot of make up. I'm not ashamed to say it. I am a make up addict. So finding the right products to help me clean my skin at the end of the day is somewhat of a challenge. But I think I've nailed it with this one! I apply a small amount on dots around my face and gently rub it into my skin. I then leave this to sit for around 5-10 minutes. No joke, my make up starts melting off and it feels so good. I then go in with a hot cloth and wipe it all off. Nothing beats that satisfying feeling of seeing all that make up on your cloth and having a make up free face. Spots. We all get them. But for some reason I've been getting them more than most recently and I am not loving it! I've tried so many of my usual tactics - particularly using Sudocrem to reduce the size of them but this just hasn't seem to be working. So I had to get my hands on this little goodie. This is another product my best friend recommended to me and I am so thankful! 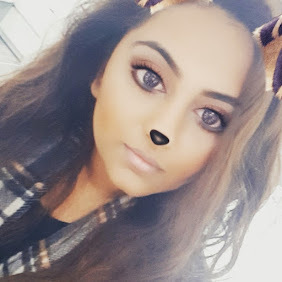 That night, as soon as I got home I took all my make up off and wacked this on my new face friends and I woke up in the morning with the significantly smaller and flatter! The only trouble with this is you can literally only use it at night or if you're not leaving the house. Not to be worn under make up, as it dries very quickly and leaves a very flaky residue behind. I've had this pot of magic for quite a while now. I remember seeing this in one of Nicole Guerriero's skincare videos and my mind thinks "If Nicole is a fan, I am a fan" and went straight to the Lush store in Birmingham near my uni and popped this in my basket. I've heard so many other bloggers & youtubers also rave about this and I fully understand why. First of all, once I pop this out of the fridge and apply it to my face (using a foundation brush) the cooling sensation is like Ahh. The minty ingredients create a lovely tingle and you can feel it working. I leave this on for at least half an hour and take it off (duh like every other mask). The reason I think this is especially great is not only due to the natural ingredients it is packed with but you really don't need a lot of it to cover your whole face! The only thing that has ever confused me is the fact it is a back pack too (face mask for your back). How on earth am I supposed to reach to get this on there? There you have it. 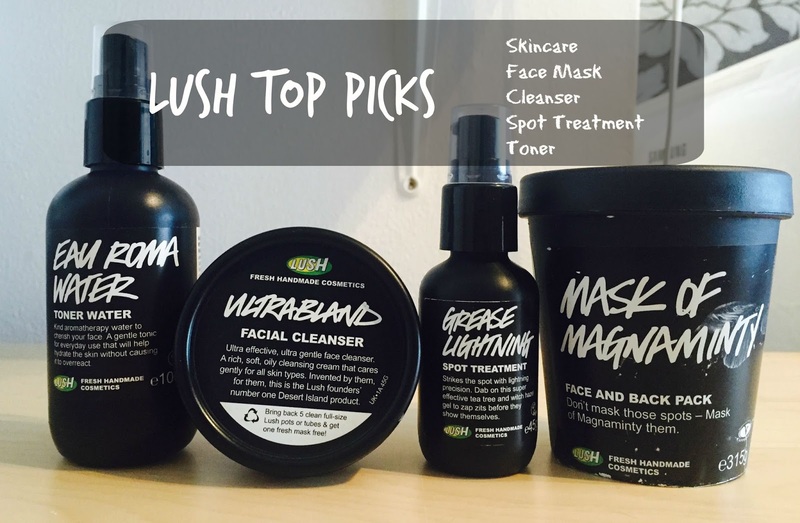 My Top Lush picks and an insight into the amazing experience you can get in store! I'm sure many of you have tried Lush products so I would LOVE to hear some of your recommendations below! Do you love some of my favourites or are you more of a fan of the bath bombs?